Director Guillermo del Toro's is a delicate balancing act with plenty of projects always on the go. Occasionally they're cancelled, and other times they're uncancelled, so we should always take these tidbits with a grain of salt. 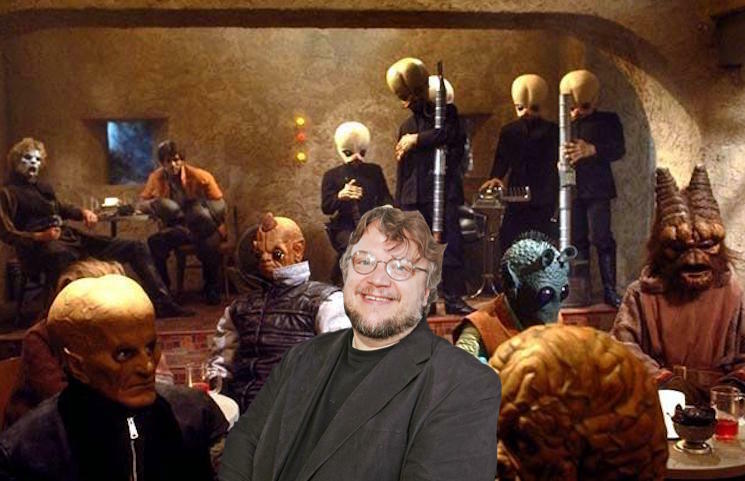 Still, it looks promising that del Toro might be making a Star Wars movie. In an interview with Collider, the filmmaker revealed that he's been taking meetings with the Star Wars executives. First del Toro admitted that he's hesitant to hype up his future projects lest they don't pan out. "Saying all that caveat, I will say there's some characters that are great, and I have talked to Kathleen Kennedy and John Knoll about ideas," he added. While he was vague in the new piece, del Toro previously stated that he was hoping to make a standalone Jabba the Hutt film. In 2015, he told /Film, "I would do the sort of Godfather saga that Jabba the Hutt had to go through to gain control. One, because it's the character that looks the most like me, and I like him. I love the idea of a Hutt type of mafia, a very complex coup, you know? … I just love the character." Here's hoping Guillermo del Toro's Jabba the Hutt mafia movie sees the light of day some day.